After spending an hour looking for my new rotary blade packages, I found this in my center desk drawer. 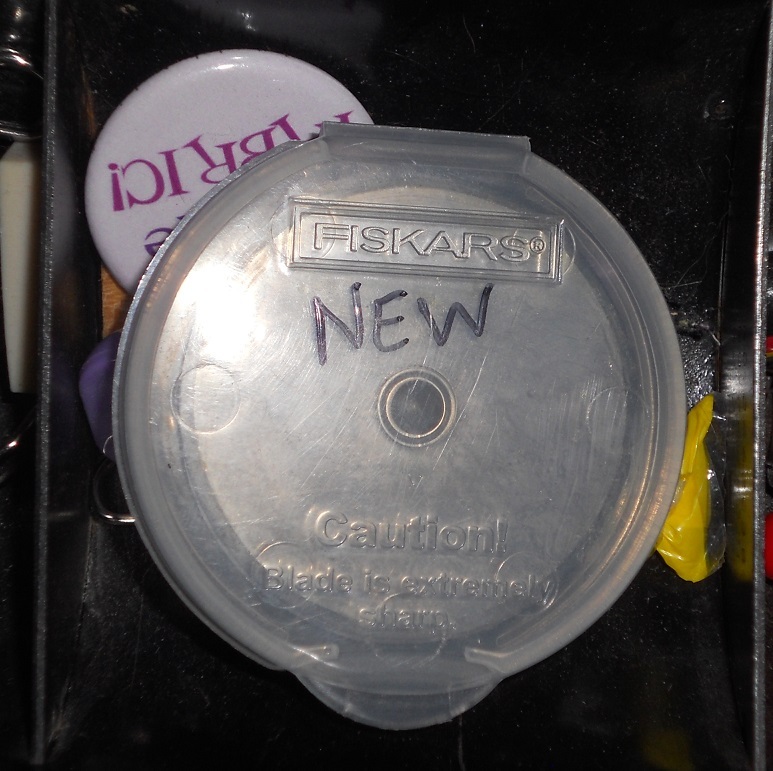 It was so smart of me to put all the new blades in one easily accessible container. Just wish I’d remembered doing it before the big search. So I decided it was time to take a break and get some sunshine. 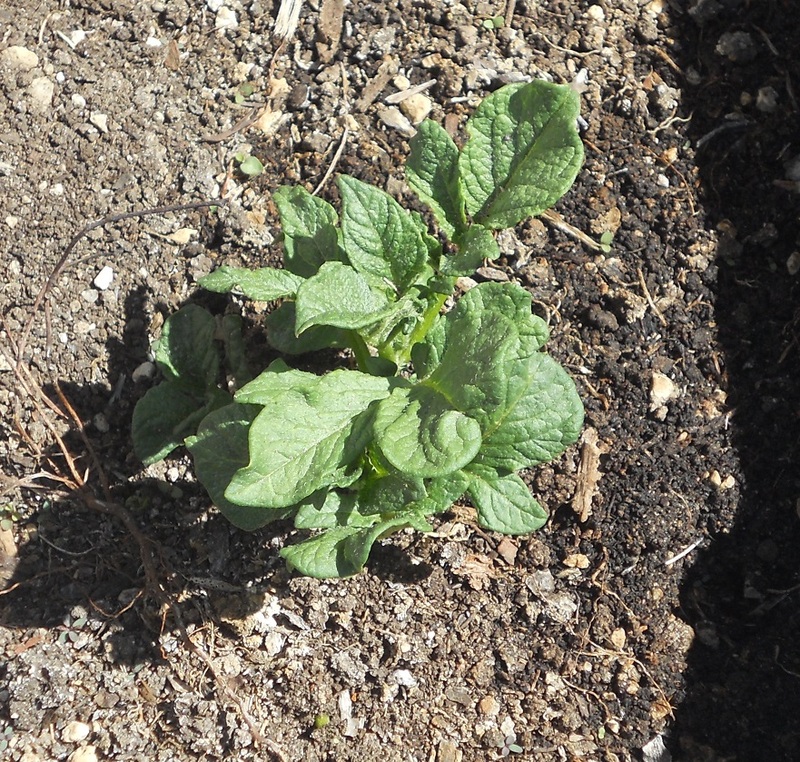 I did a bunch of weeding and checked on the food crops we’re growing, including potatoes. 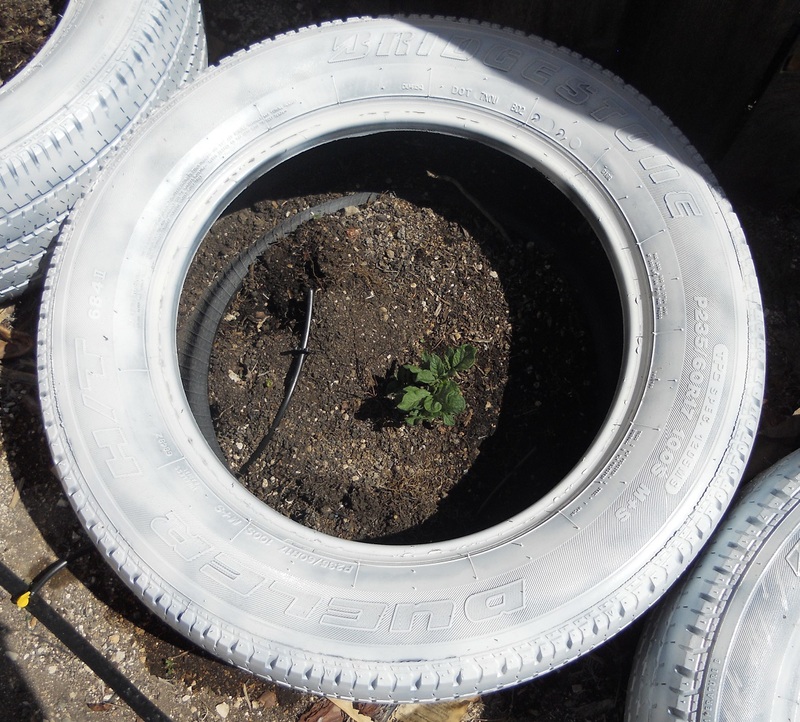 Did you know that you can grow potatoes in old tires? Here’s how we’re doing it. 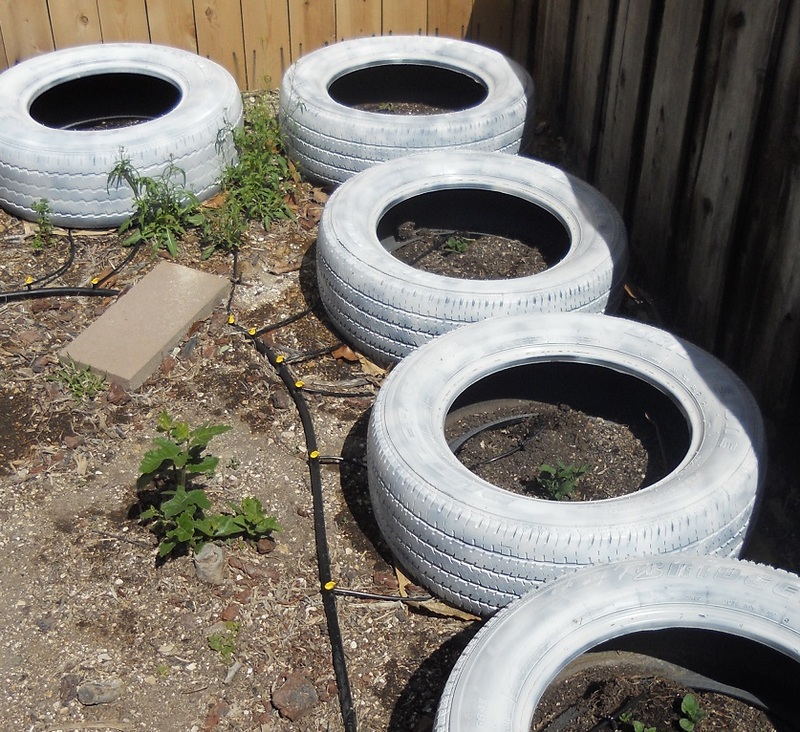 We painted the tires white with cheap spray paint. The quality doesn’t matter, just trying to change the color so the tires don’t heat up as much in the sun. Then we planted the seed potatoes inside them. 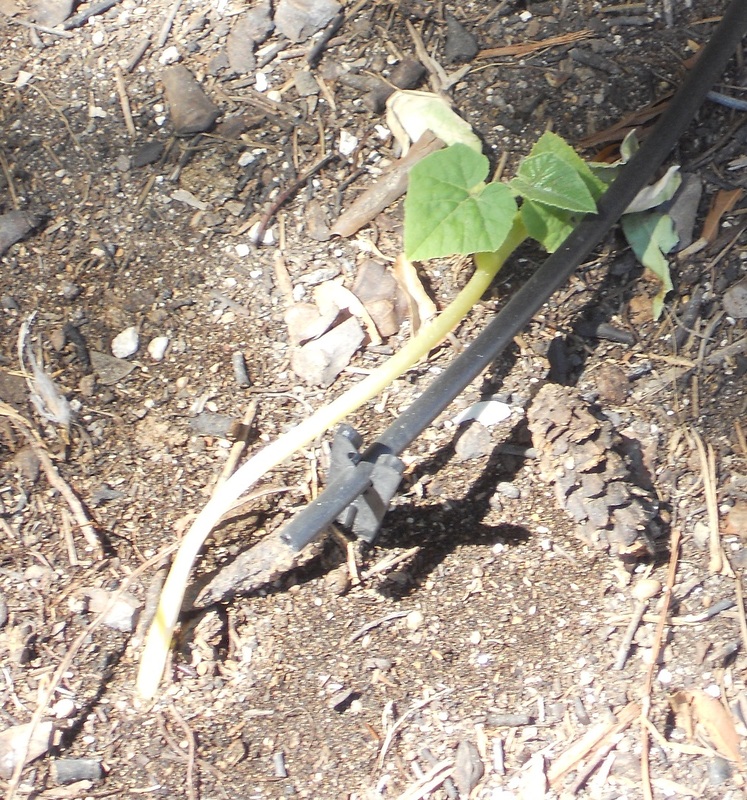 My husband and I aren’t very good at remembering to water our garden, so we rigged up a drip sprinkler system. That’s what the tubes are you see in the photographs. As the potatoes grow, we’ll cover them with hay. Not dirt, hay. The roots grow in the dirt where we planted but the plant with the spuds will start growing above ground. Hay from a feed store will block the light and add structure for the plants to grow in. Here’s one of the potato plants now. When it’s taller than the tire, we’ll stack another tire on top. The stacks might be four or five high by harvesting time. Tire shops have to pay to have their old tires carted away. So our local shop is more than happy to donate them to us. We’re growing other food crops, too. This little guy’s a pumpkin. 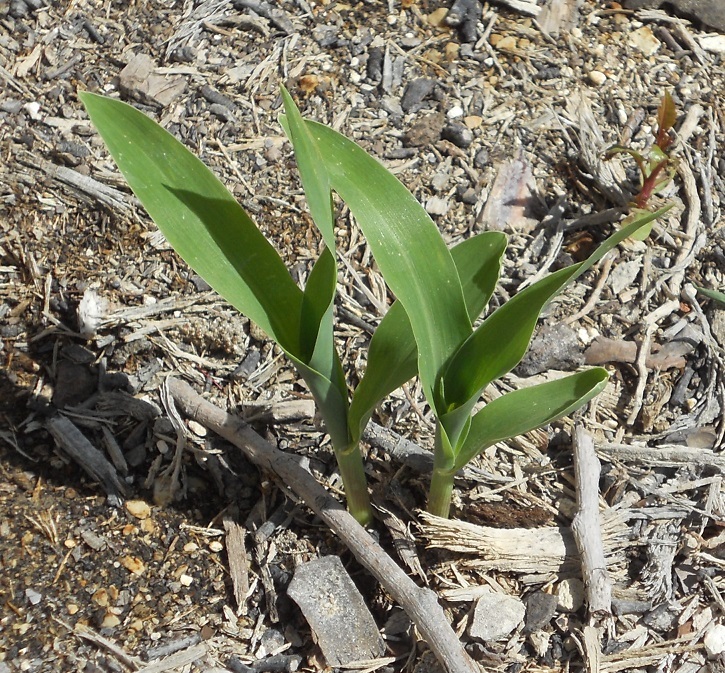 The corn grown from seed outside is doing well. We tried starting some inside, but they didn’t survive the transplanting. 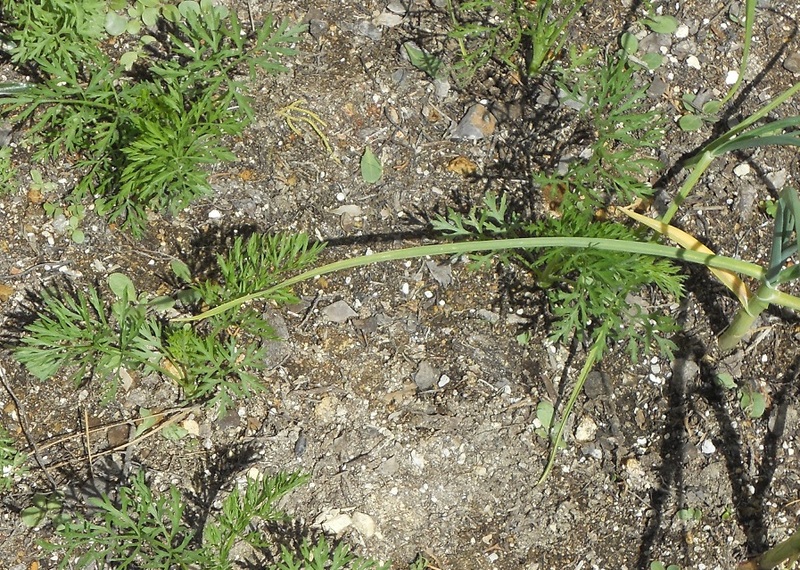 Carrots and garlic grown side-by-side. Alright, now that I’ve gotten a bit of sunlight and spent time with growing things, it’s time to cut some more fabric… with a fresh blade. This entry was posted in Artist's Studio, Inspiration and tagged blades, carrot, carrots, container gardening, corn, drip irrigation, garden, gardening, garlic, irrigation, potato, Potatoes, rotary blades, rotary cutter, sprinklers, tire gardening on May 1, 2014 by quiltartbymegan.